ROGERS Fixed Gooseneck TVT25 has the convenience of rear loading with a spacious level deck and high ground clearance ideal for off-road hauling. The long, flat gooseneck offers extra load space. The pin-type landing legs have a 40,000 lb static capacity. 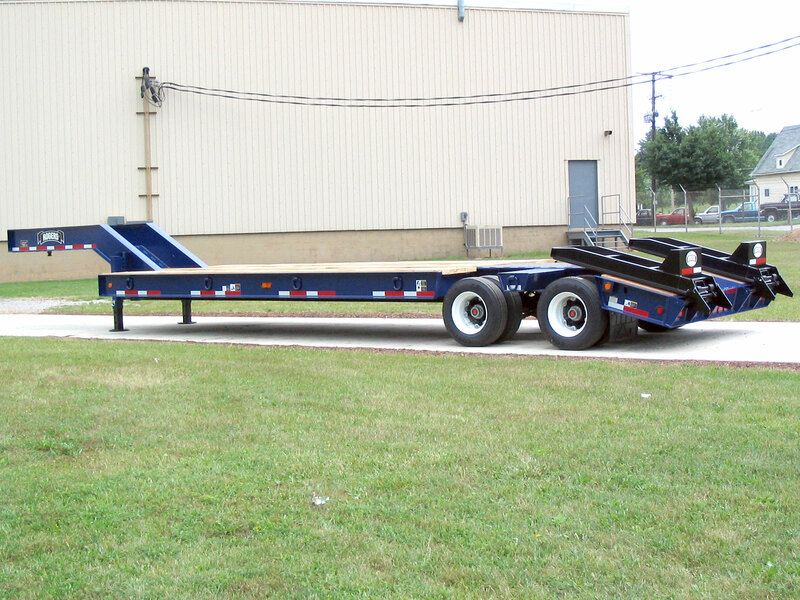 The convenience of rear loading this trailer is the 60" rear ramps and the 36" sloped beavertail. The spring suspension and ABS spring brakes on all the axles, combine for superior handling in difficult conditions. NOTE: ABS does NOT slow down a trailer faster; rather, ABS keeps the trailer straight when it stops, avoiding jack-knifes. Manual "E–Z Flip," dual spring-assisted rear ramps are easy to use and quick to adjust laterally for loading machines of different widths.